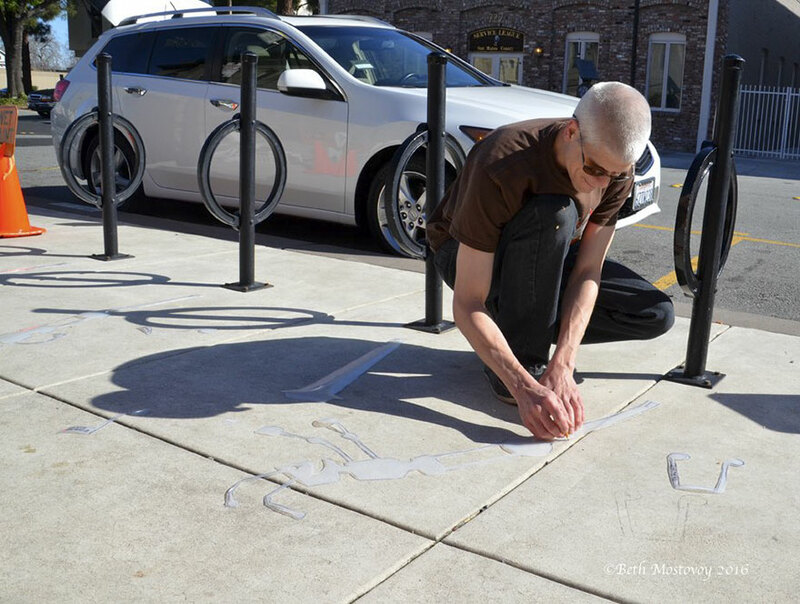 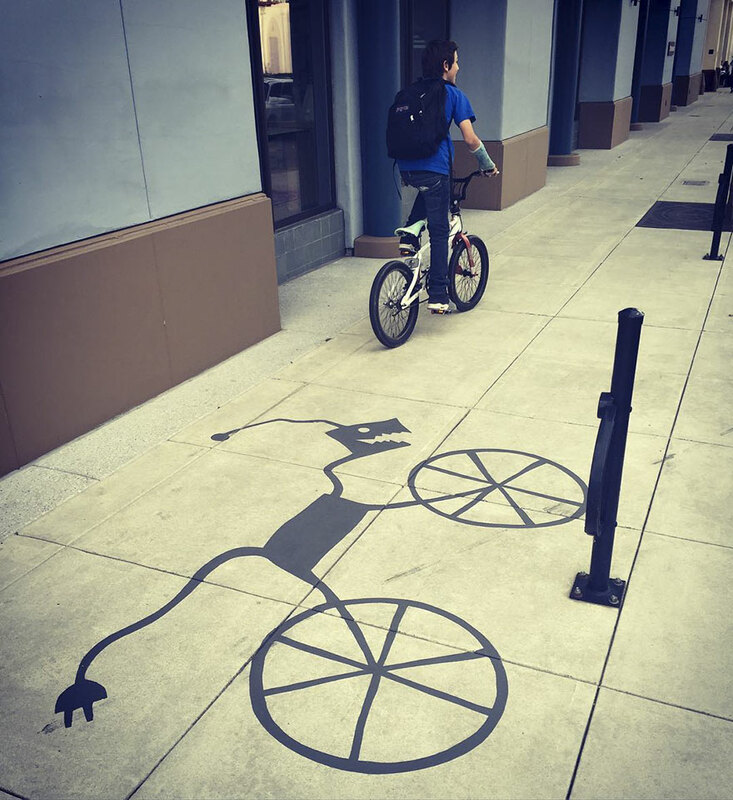 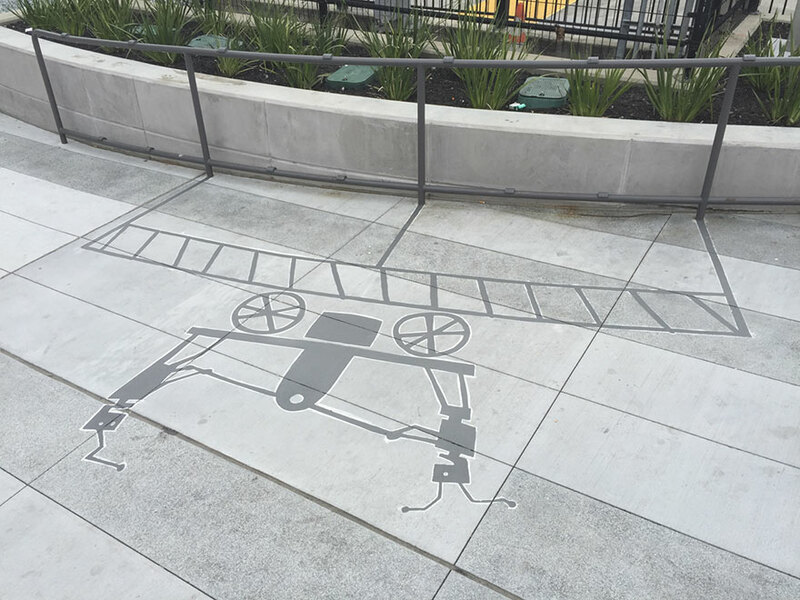 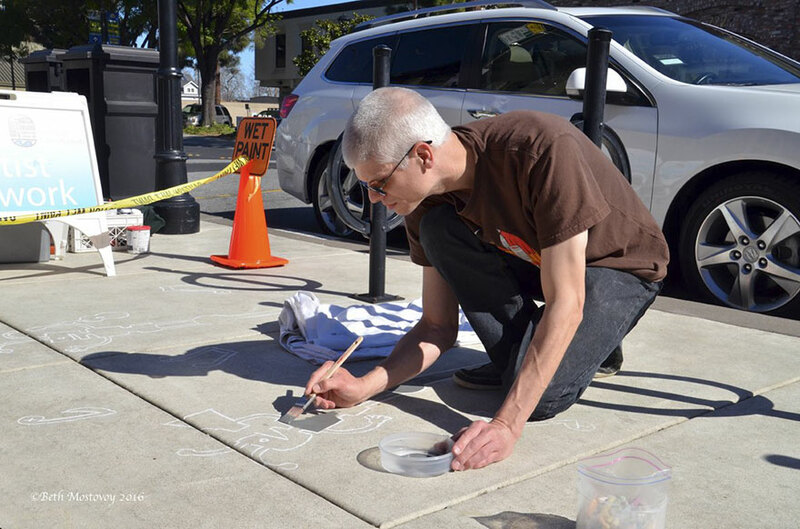 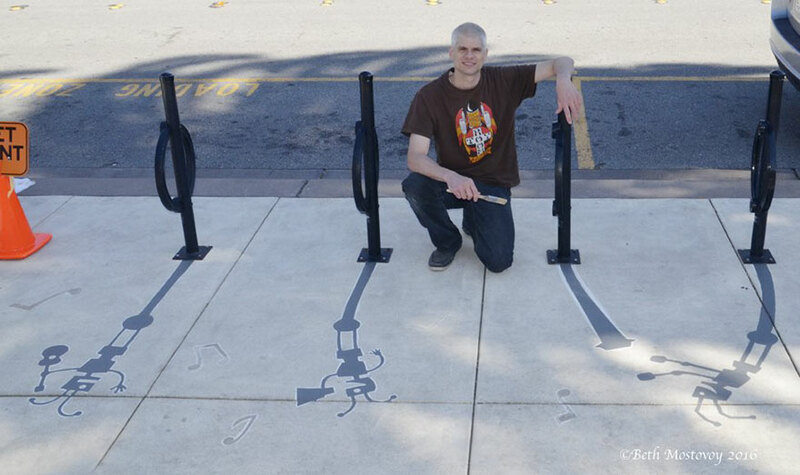 Damon Belanger, a local artist from San Carlos, created the stencil designs for his latest art project at his home before heading to downtown Redwood City where he draws it out in chalk and paints the design on the sidewalk. 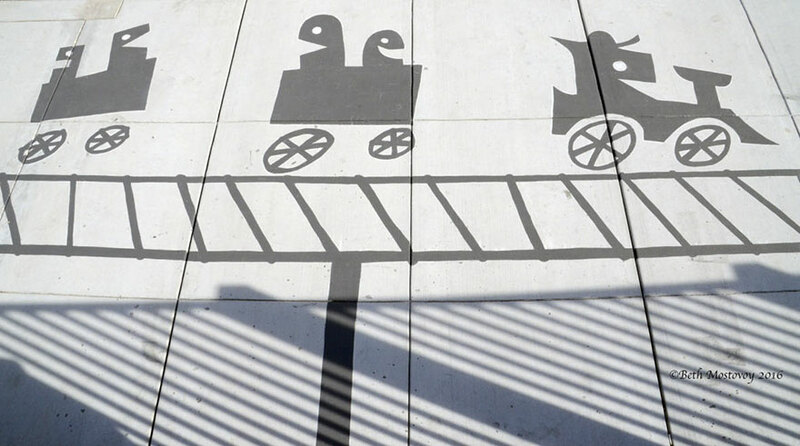 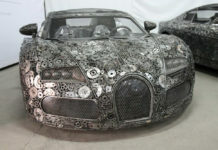 A dark gray paint gives the illusion of a strange shadow attached to everyday objects. 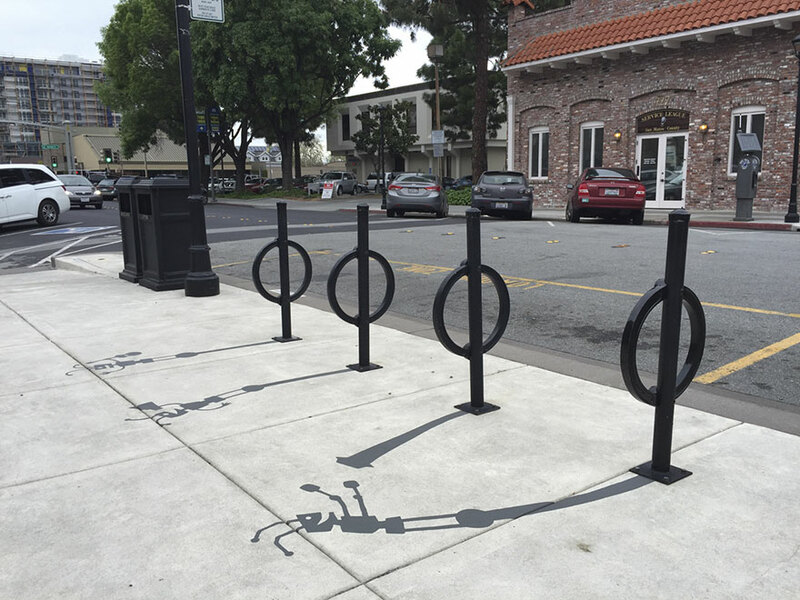 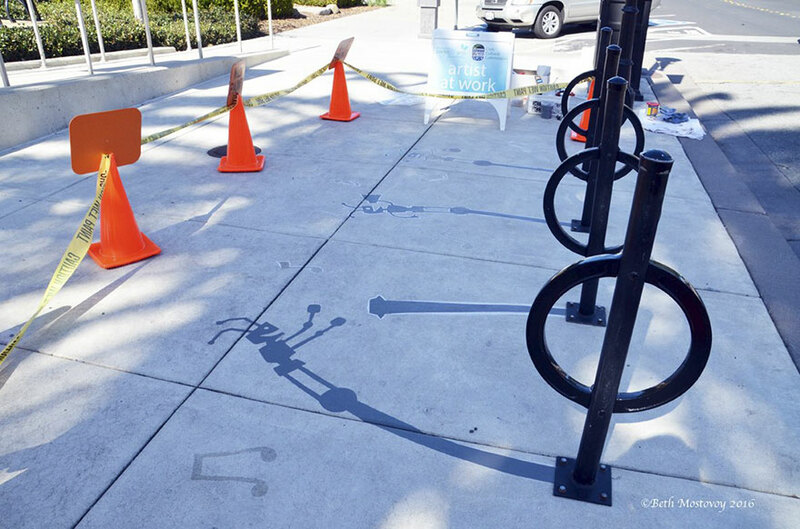 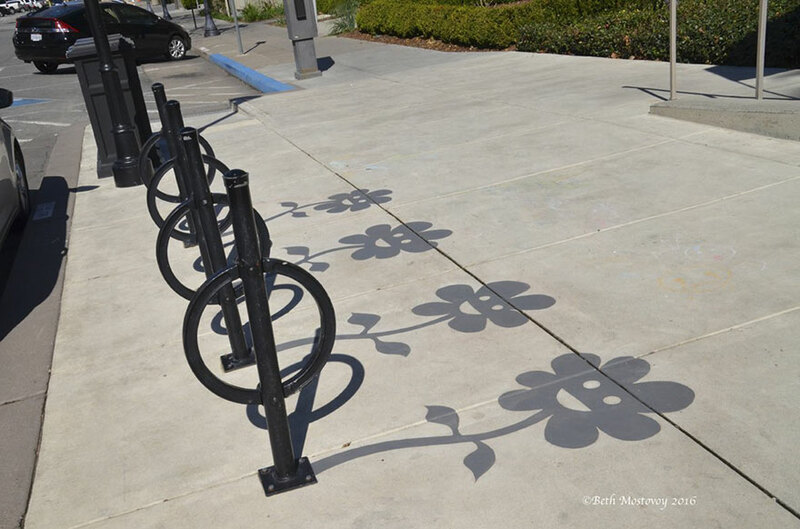 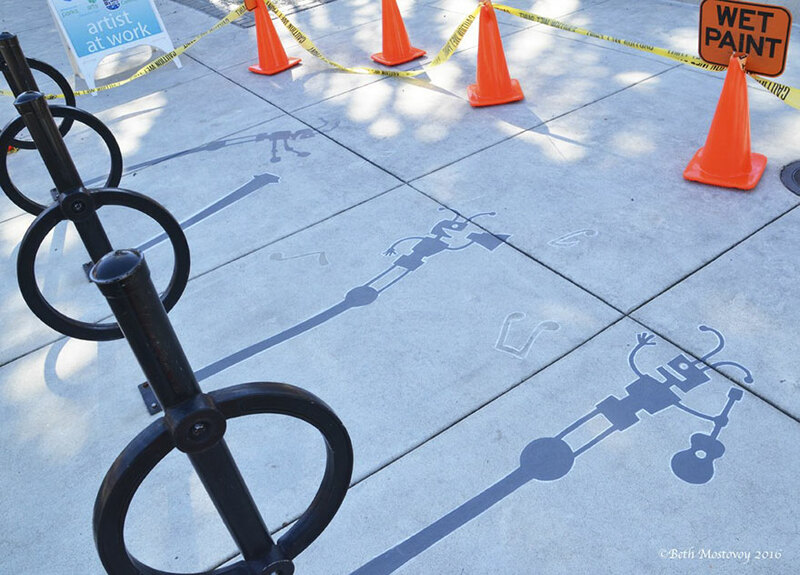 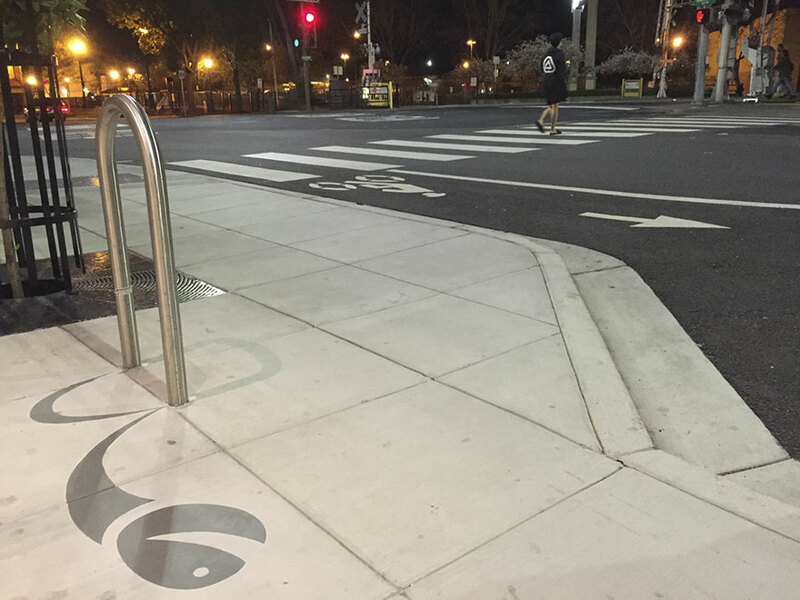 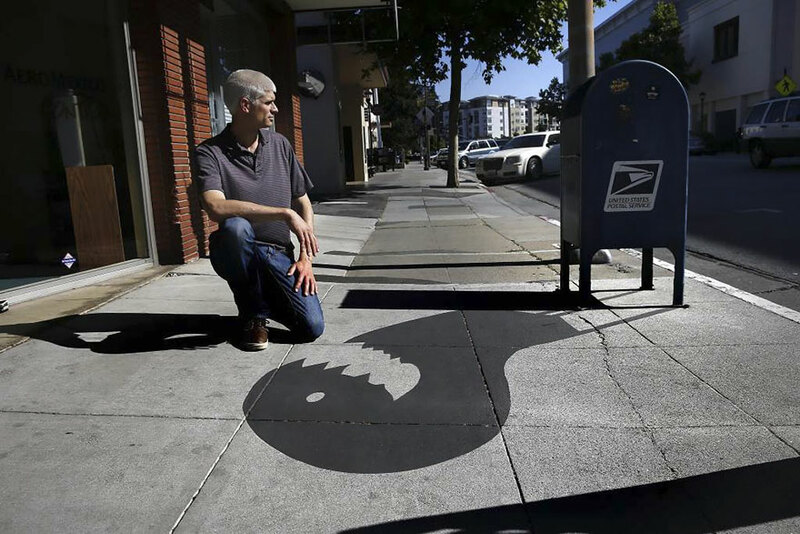 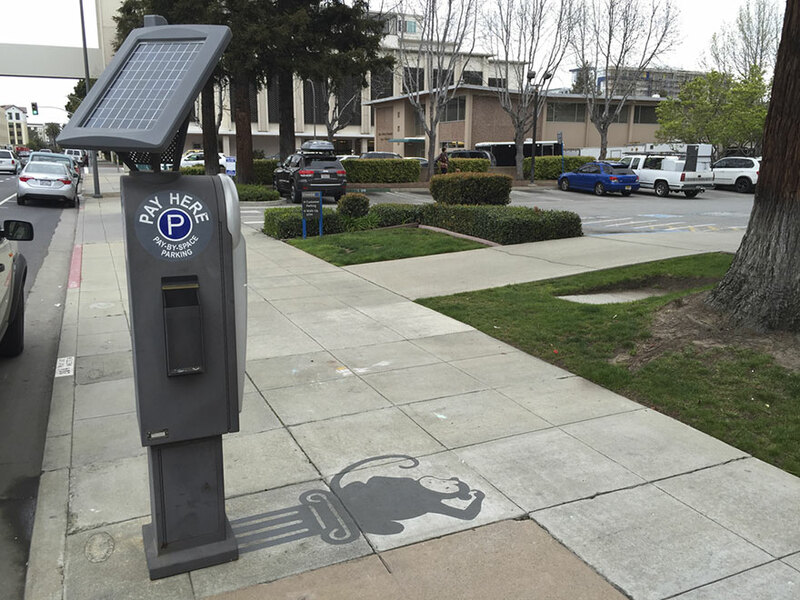 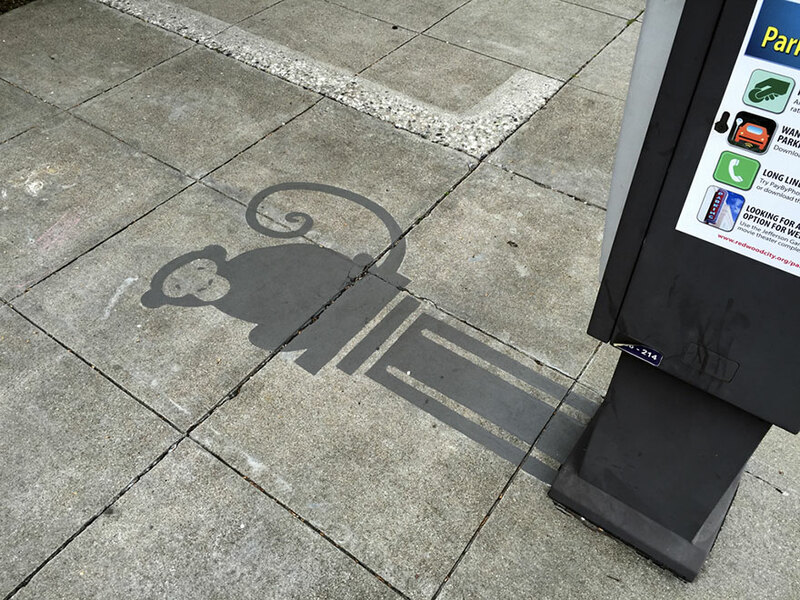 A parking meter’s shadow becomes a monkey’s hang out or bike racks begin sprouting flowers. 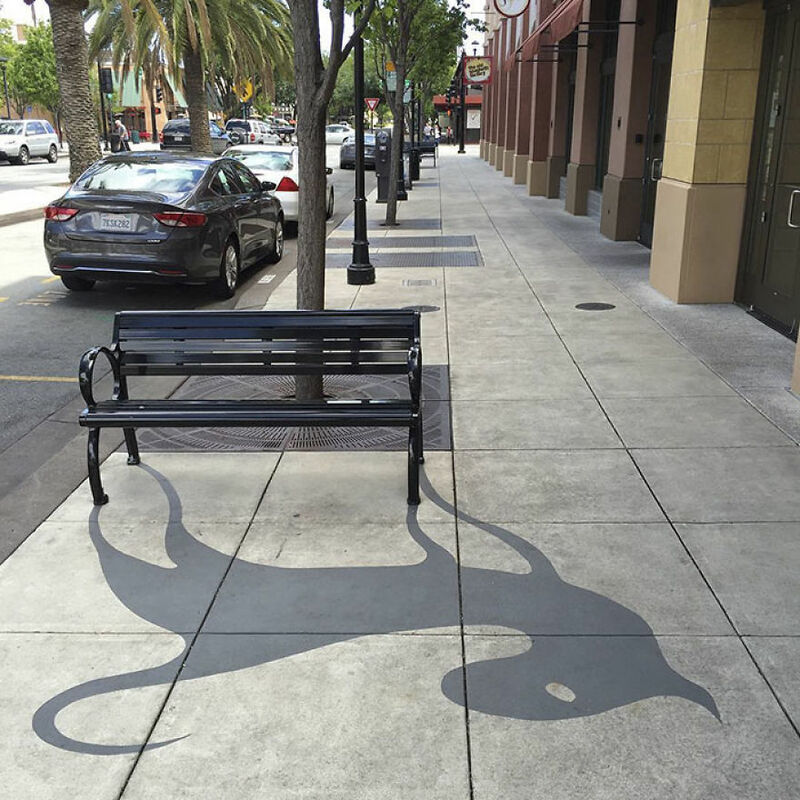 The Redwood City Improvement Association donated $30,000 to the city and partnered with Redwood City Parks, Recreation and Community Services Department, Redwood City Parks and Arts Foundation and the Partnership Redwood City Program to bring more creativity to downtown. 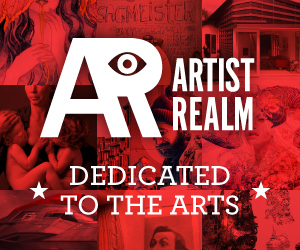 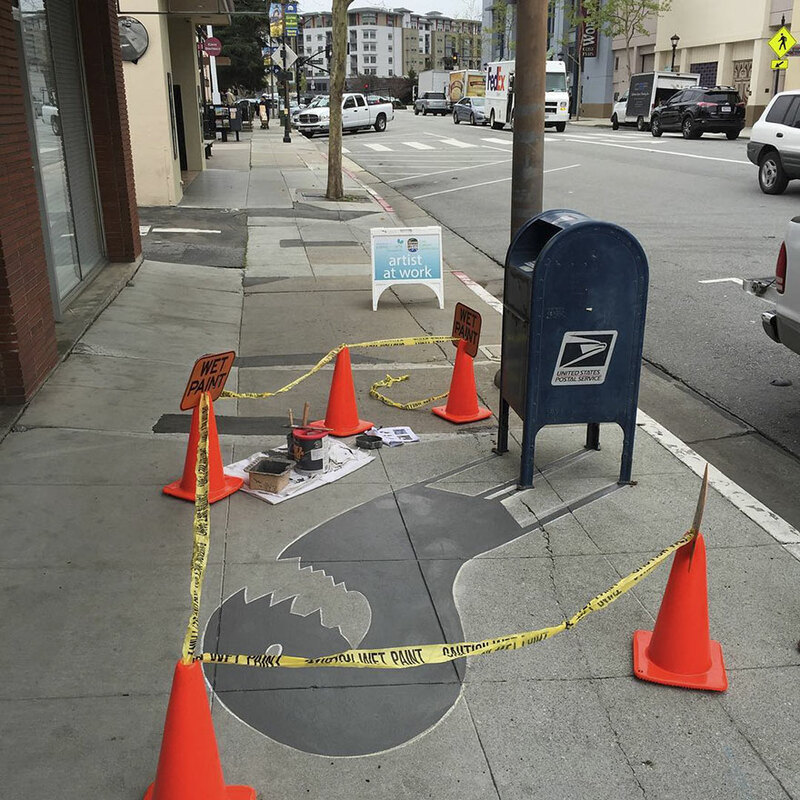 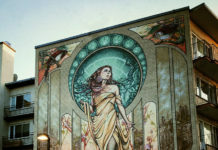 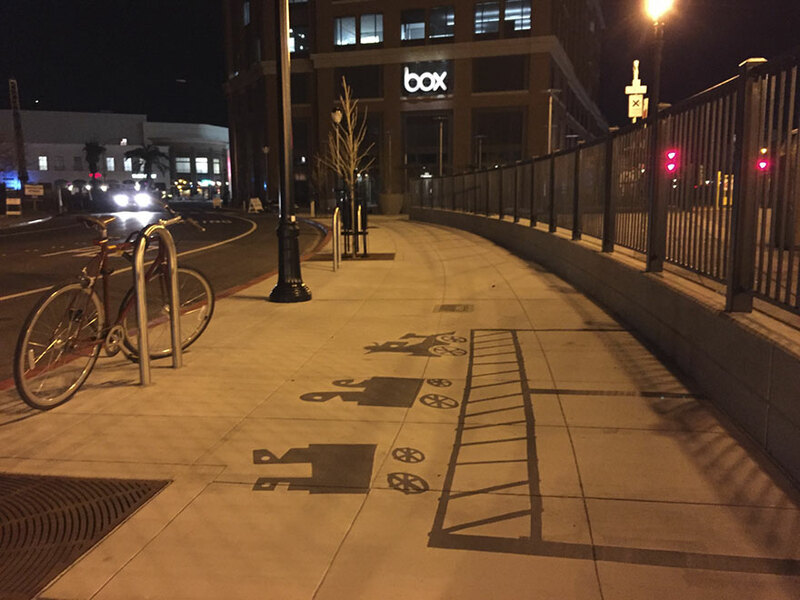 The installment has a total of 20 pieces spread out all over downtown ranging from the Caltrain station to the San Mateo County History Museum. 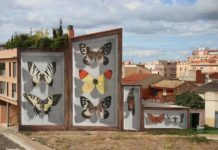 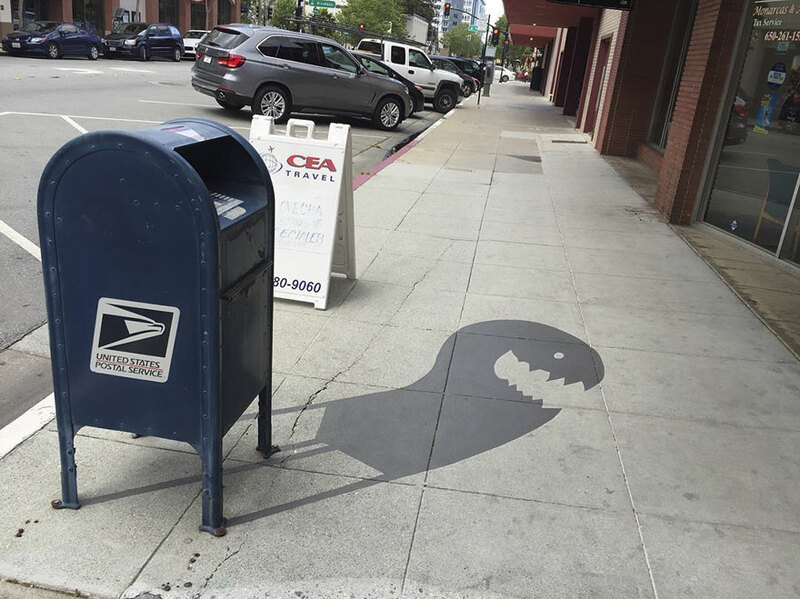 The artwork has caused many people to do a double take because at first glance the shadows seem to blend in well with everyday life. 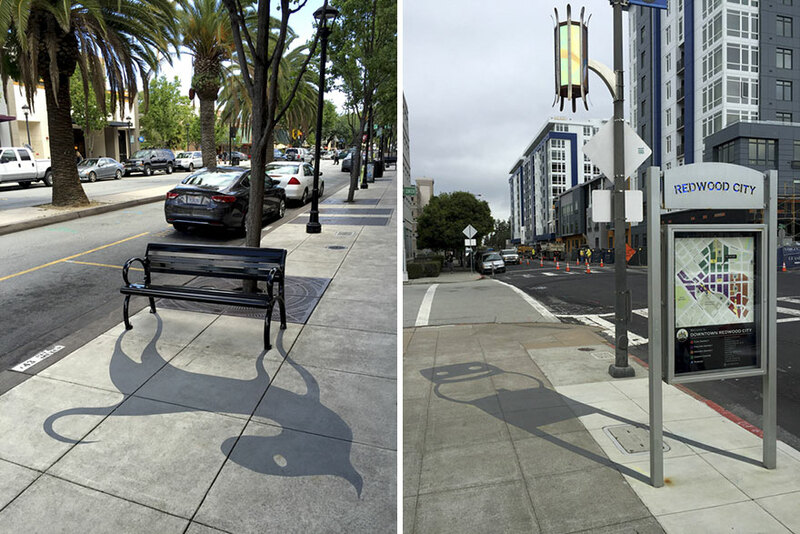 Beth recalled seeing a father and daughter walking down the street and while the father didn’t notice anything, the daughter spotted the flower shadows on the sidewalk.